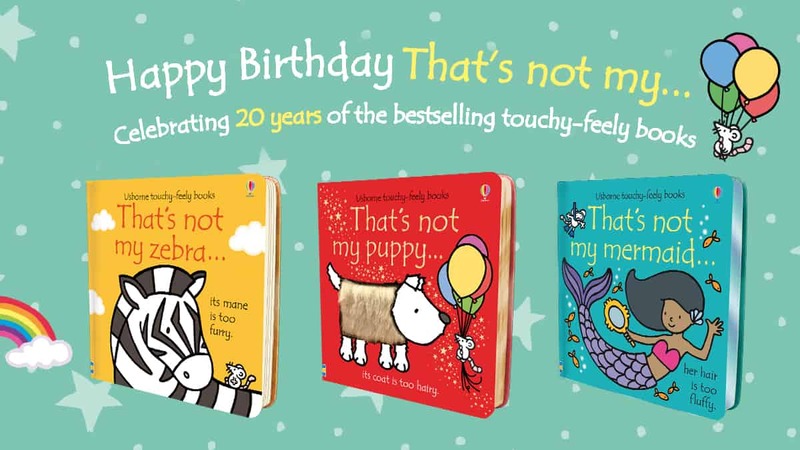 Happy birthday to the That’s not my… books, now 20 years old! That’s not my… is an award winning series of over fifty touchy-feely books for babies and toddlers. 2019 marks their 20th birthday! Every book in the That’s not my… series focuses on something different, from puppies to dinosaurs, planes, trucks and trains, to meerkats and more – and they all come with special touchy-feely sections! You can stroke the hair of a puppy or feel a tufty elephant tail thanks to the safe synthetic materials that are embedded in the hard pages of the book. Written by best-selling Usborne author Fiona Watt and illustrated and designed by Rachel Wells and Non Taylor, That’s not my… is created with sensory play and learning in mind. The books allow young children to explore the textures of the world around them! Click here to find out more about the books! My baby brother and sister love it!